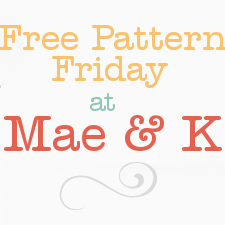 My good friend Maegen at Mae & K is running a Free Pattern Friday series which highlights great patterns that are offered for free by some of our favorite designers. And we all love when we can find something great out there for free right? 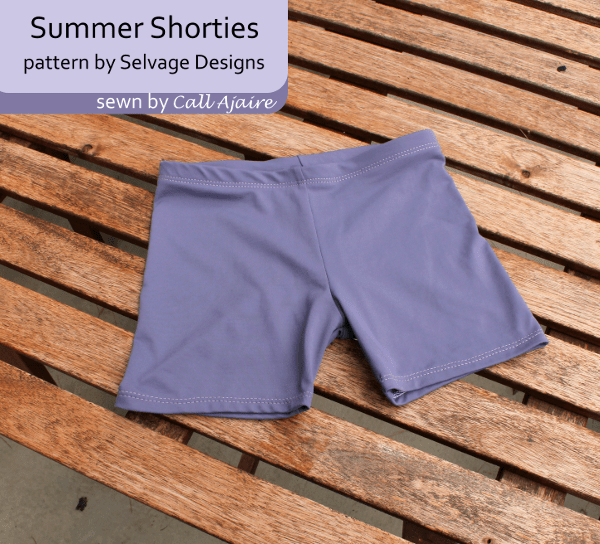 This week the focus is on the Summer Shorties pattern by Selvage Designs (*affiliate link) offered as a free download on her blog Baste and Gather. I’ve had this pattern since it was first offered almost a full year ago and had yet to make them. The truth is last summer Bean wasn’t as into dresses and skirts as she is this year, so a pair of shorts to wear for modesty wasn’t an issue. This summer however is clearly ALL about the dresses so I jumped on board Free Pattern Friday as a good excuse (and the push I needed) to make a bunch of Summer Shorties for Bean. Now of course the first pair had to be purple. 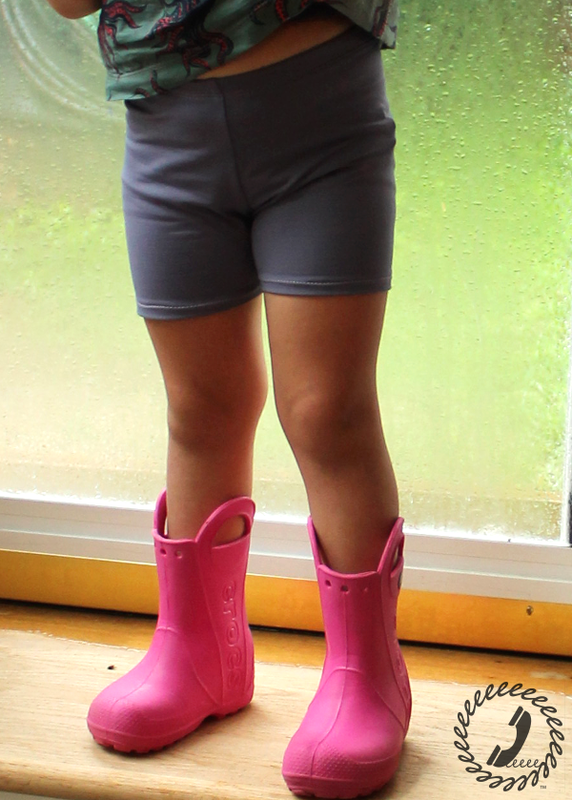 Getting Bean to wear shorts hasn’t been easy lately so to convince her it would be a good idea to wear them under her skirts I had to make the first pair super comfy and purple is always a win around here. The fabric is supplex nylon from Sew Kinetic which I talked about here with our skorts, but I think this amethyst color is even softer than the sage or avocado. Also, I wore the supplex skort as a swim bottom the other day (long story), and I’m happy to report that it worked out great! 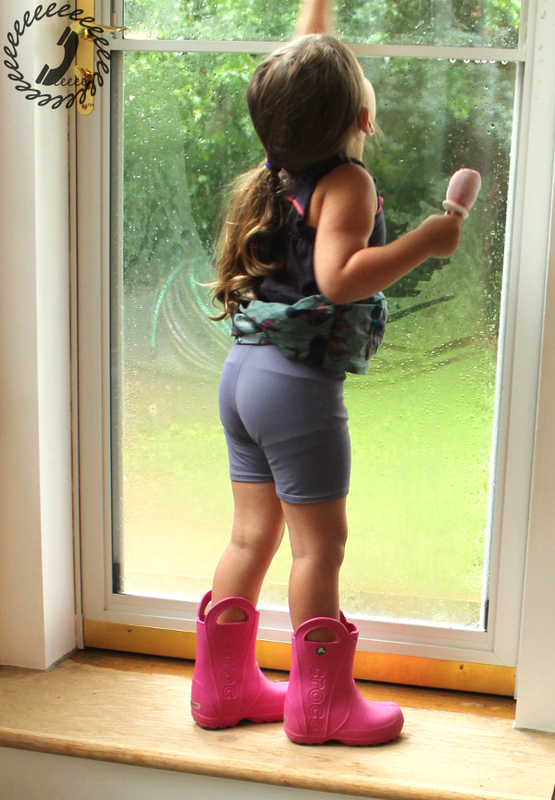 Speaking of purple, I think I’ve made all the views of the Paneled Sunsuit in some sort of purple at this point hehe. 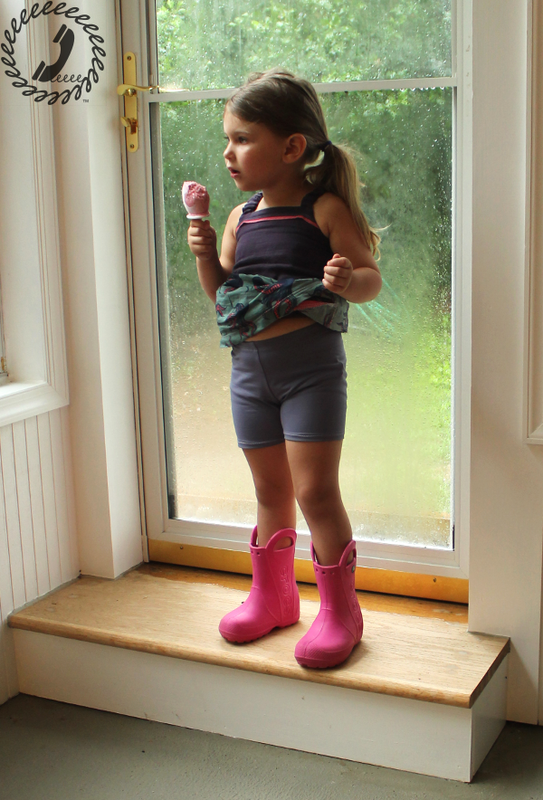 The pattern view in the pic above (the primary reason for needing those modesty shorties!) is the Jumper and with just a half yard of the C+S Octopus left it worked out perfectly for the skirt portion. The purple double gauze complements it better than I expected it would and Bean loves her octopus dress as you can see it had been worn all day and is fully wrinkled from playing with friends. Which is where the shorties come in. Bean was able to play in her dress without hearing me say 100 times to pull her skirt down, hehe. And she announced that they were really comfy and like underwear, which hopefully means we won’t argue about wearing them all summer. The pattern runs from 12M to 8yrs and is simple and straightforward. The only thing I changed was the elastic at the waist. The pattern is meant to have the elastic exposed at the waist with soft backing, but I wasn’t sure Bean would like the elastic exposed. All I did was to fold the elastic once more down toward the wrong side of the shorties and topstitched it in place. It’s easier than an elastic casing AND since the pattern technically didn’t include the height for folding it under a second time it used the least amount of fabric from the rise. I used my serger and coverstitch machine (Janome 1000cpx) for these shorties and the entire project took less than a half hour. That includes taping the pattern pieces, cutting the fabric, all the sewing, and the obsessive finishes I do like hiding the thread tails in the seams so they won’t pull out with wear later. I also made two pair at once and the second pair barely made a difference in the time. I plan to cut out a bunch to make for camp next week and it’s nice to know it’ll be a quick yet satisfying project! The fit is great with room to grow. I made the size 5 since Bean has sprouted up over the past month. 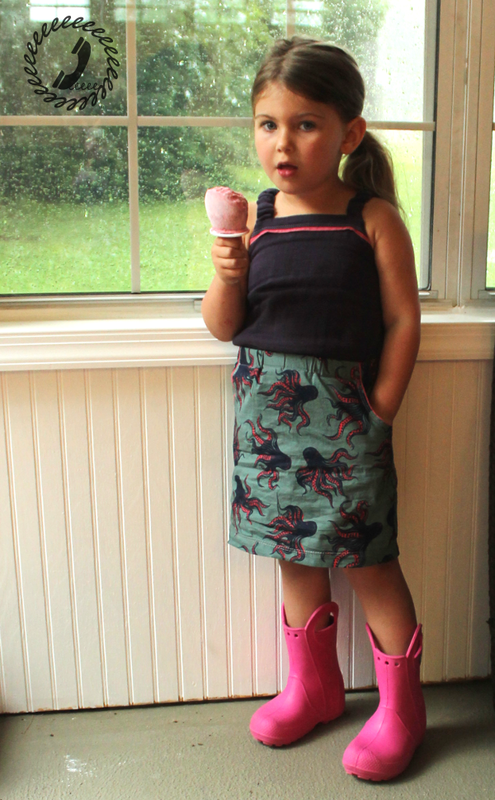 She’s grown from a size 3t in the Paneled Sunsuit pattern to a size 5 in just the two months it’s been in testing! You can see the dress she’s wearing is a bit snug and it’s the size 4t. I don’t expect her growth to slow down over the summer so size 5 in the shorties was a must.